When comedy performers Waldo & Woodhead are invited to perform on a prestigious four-story showboat, all seems well. That is until Woodhead decides he would rather try his luck at shing - something the boat captain strictly forbids. 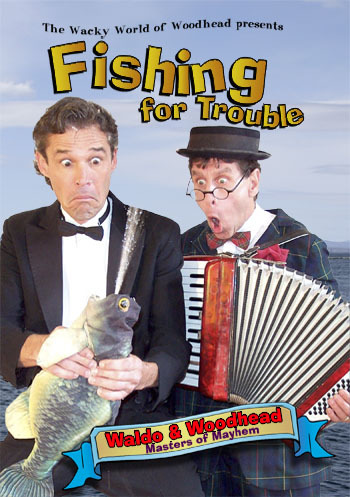 Join Waldo & Woodhead in their misadventures and comic juggling performance on-board the mighty Branson Belle. 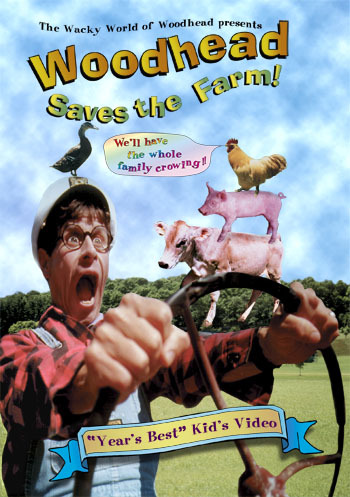 Join Woodhead, the farm Kids, Dudley the Donkey and all the farm animals as they learn how teamwork can solve any problem! Shot on location at Shelburne Farms in Shelburne, Vermont, an organization whose mission is to teach and demonstrate the stewardship of natural and agricultural resources. Internationally renowned stage and film actor, Woody Keppel has charmed audiences throughout the world as the hilarious and whimsical, Woodhead.